What better way to celebrate the Fourth of July, then to remember where it all began. 1776 is performing July 4th thru July 14th at the Historic Cocoa Village Playhouse. 1776 is a musical play depicting the lives of our famous founding fathers during the tumultuous year of 1776. It takes the audience back in time during the height of political unrest in the New England colonies. The war against the British is already underway, as 56 delegates bunker down in the assembly hall at the Pennsylvania State House in Philadelphia. The task before them is enormous. They must manage a war effort while at the same time create a new government from scratch. The play brilliantly portrays the perils these brave men faced and overcame to establish the United States of America. Fears, worries, pride and indignation all bubble to the surface as these congress members persevere to draft what is today referred to as the Declaration of Independence. 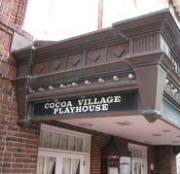 The Historic Cocoa Village Playhouse, affectionately nicknamed “Broadway on Brevard”, is located at 300 Brevard Avenue in Cocoa, FL. The playhouse, entertaining the public since 1924 recently underwent renovations. The Playhouse now boasts a new three story technical support annex. With the new renovations, The Historic Cocoa Village Playhouse is able to bring in other larger travelling performing acts, including upcoming ballet company productions. The first show for 1776 begins on the Fourth of July for a special 2 p.m premiere showing. Tickets for 1776 can be purchased online or directly at the Historical Cocoa Village Playhouse. Ticket prices range in price from $16 to $24. It is best to reserve in advance as shows are known to sell out quickly.